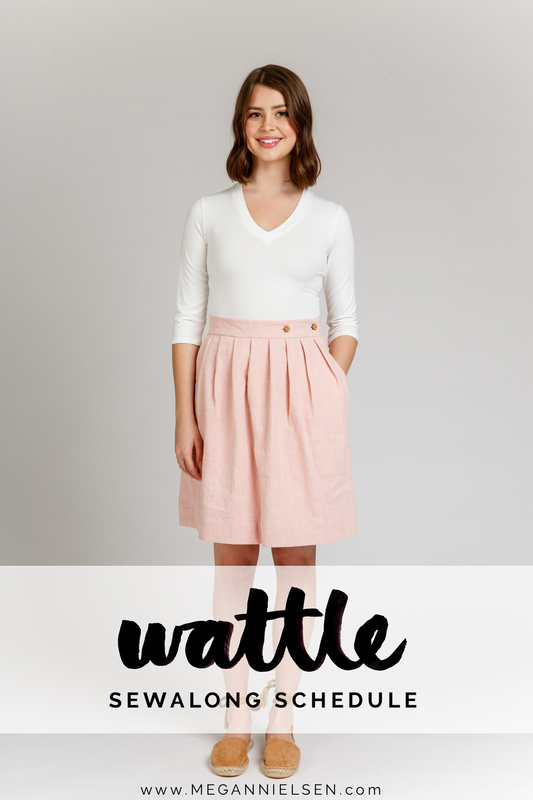 You guys, the bias cut versions (views A + D) of the Wattle skirt are so much fun to play with! 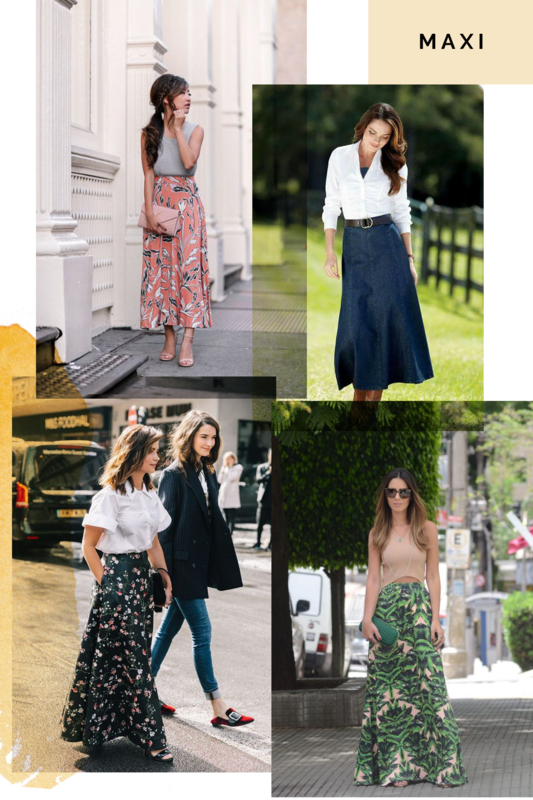 So lovely in solid colors and all over prints, but oh so satisfying when done in a stripe or plaid. 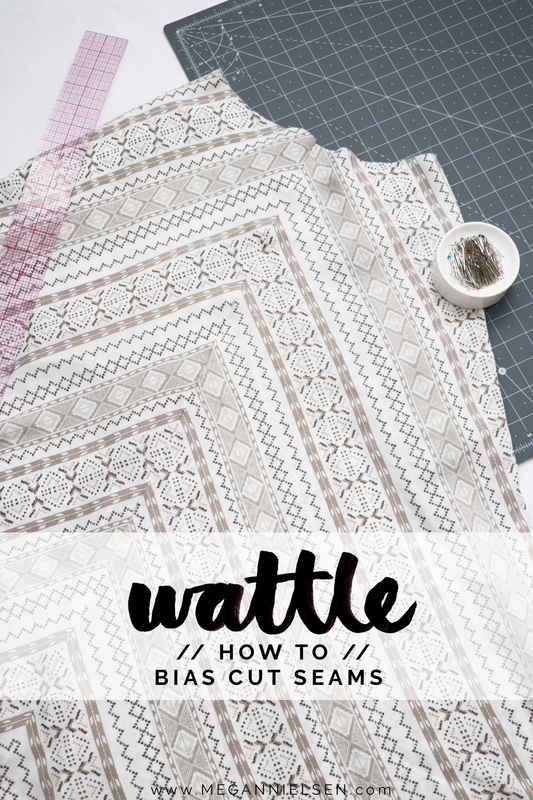 It’s the perfect pattern to practice pattern matching! Ever wanted to create a chevron design using stripes? Well today I’m going to show you how! There are actually multiple different methods out there for doing this. For example, some people like transferring the lines of the stripes/pattern onto a paper pattern, or tracing the pattern onto the fabric. But I’m going to show you a pretty simple method that has always worked for me! 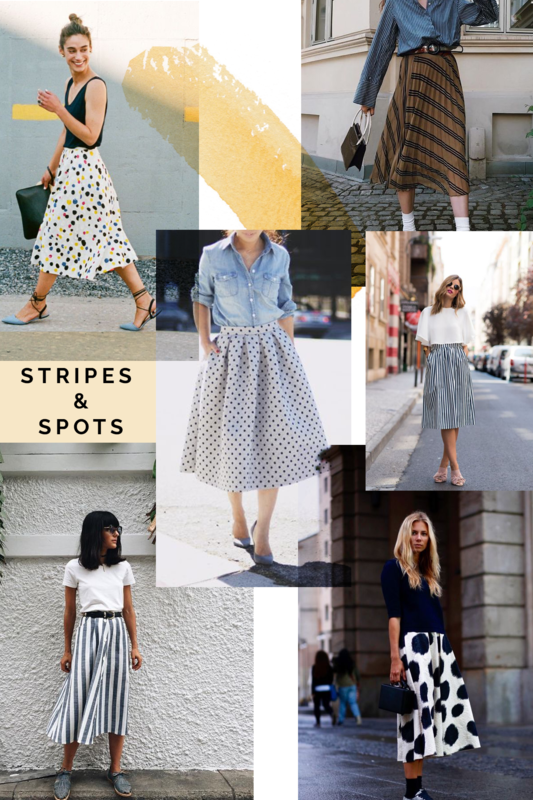 Not only will it work for stripes, but plaids too. Just a note – I chose a kind of complicated stripe for this example (doh!). So I’m not going to be worried about matching up all the little designs withing the stripes, just the straight lines. But the method works just the same. And then after that, I’ll go over how to sew up all of the bias cut seams, as well. 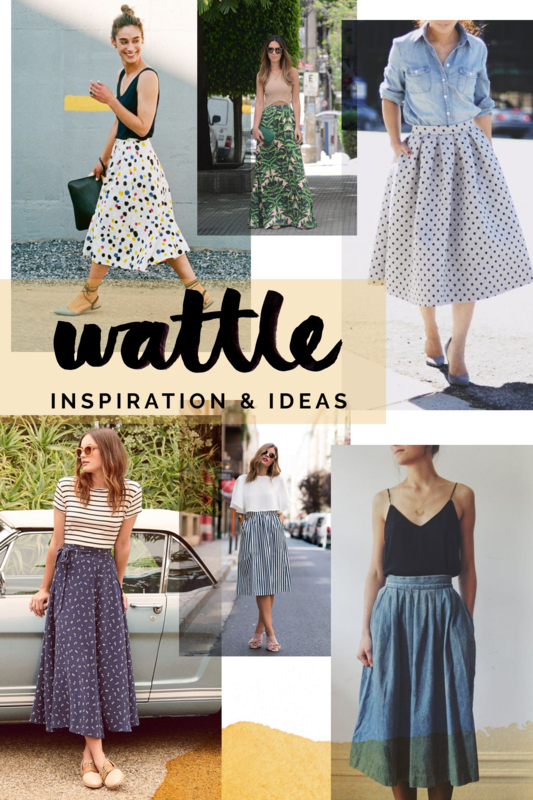 Who is excited to get started on the construction of their Wattle skirts? 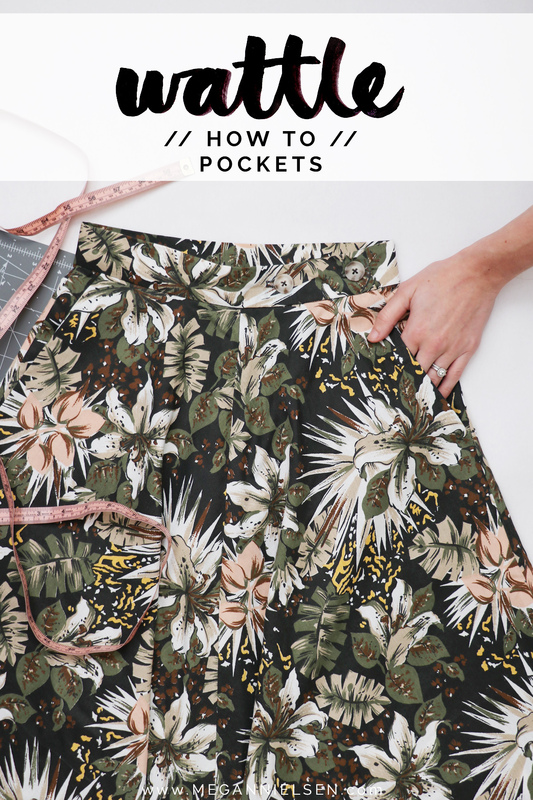 First things first – we’re going to attach those pockets! 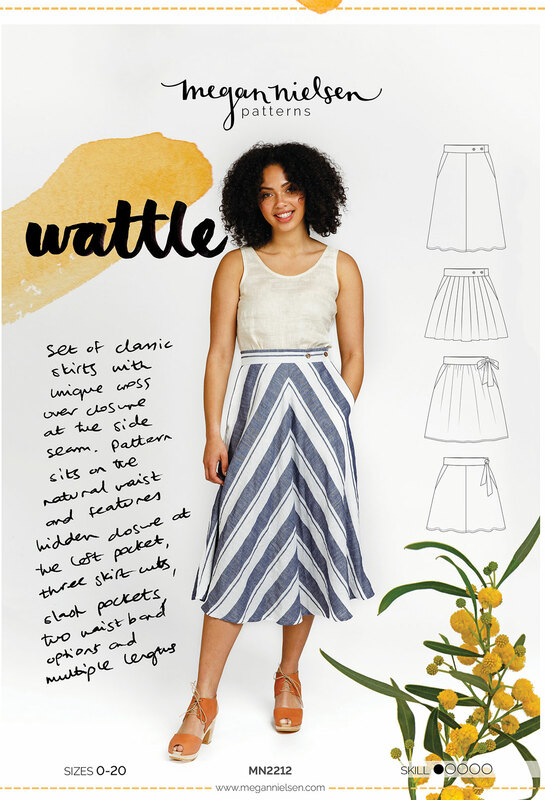 The crossover pocket opening is seriously probably the coolest feature of the Wattle skirt (and Flint pants! ), and it is what allows you to step into your skirt through an opening, and skip any tricky zipper or placket closure. These pocket steps apply to all versions, but I’ll be demonstrating here on view A (bias cut). Because of this, my front is in two pieces. 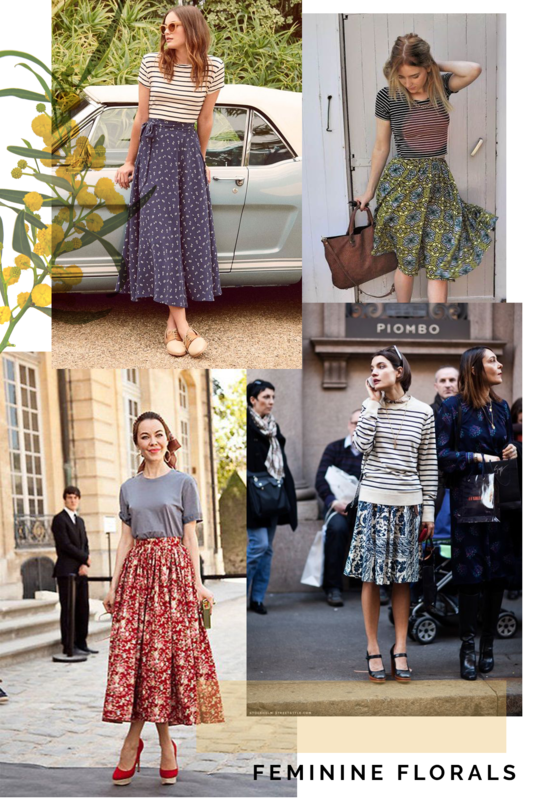 But if your are making views B (pleats) or C (gathers), your front piece will be all one piece. No matter – construction is exactly the same! 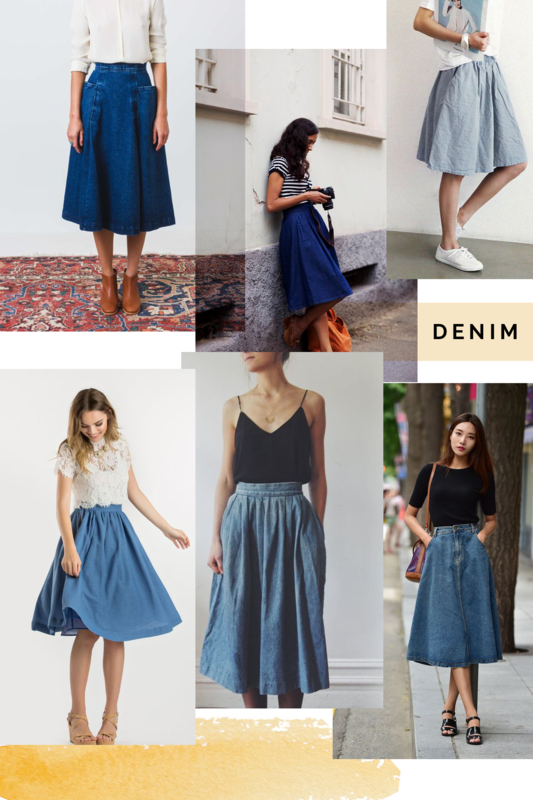 Also, one side note – If you are making a pleated version, you may find it easier to wait to add the pockets until after you’ve done your pleats. Or you can still do them first, if you prefer!